If you are looking for a fast router to take your WiFi to the next level than MU-MIMO routers can do that. MU-MIMO stands for Multi-User Multiple-Input and Multiple-Output. MU-MIMO is a technology that allows many wireless signals to transmit to a device, such as a router, at the same time. The best routers use MU-MIMO and have multiple antennas to connect with, meaning more wireless devices. How fast the processor is also matters since transferring fast signals even with multiple devices is necessary from a good router. Top-end routers have become fast computers today compared with the earlier micro-controller board designs some have moved into microprocessor based units. This is not to say that low-to-mid range units don’t have there place since they do. Many homes will be fine with a low-end unit and will not see an improvement in there wireless if they were upgrade. Top-end MU-MIMO routers are for busy wireless environments where speed is critical. Here is our picks for best MU-MIMO routers. The ASUS RT-AC87U is a MU-MIMO router with beamforming technology. Beam-forming allows a router to dedicate a antenna to a device and send a signal directly to it instead of broadcasting out a signal on all the antennas. This allows them to be very efficient in a multiple device setup. They also do very well in environments that many devices are being used and need to be online. It uses four antennas which screw on and can be upgraded if necessary. The ASUS RT-AC87U comes in different configurations depending on your network. Configurations include optional hard-drive, cable modem combo, and router only. A 1 GHz dual-core processor is used to keep data moving along quickly. USB 2.0 is on the back and 3.0 port on the front. It has a listed speed of 2334 Mbps. Of course these speeds are theoretical speeds in the best possible environment. In reality other factors such as radio signals, barriers, and distance will always slow a wireless signal. 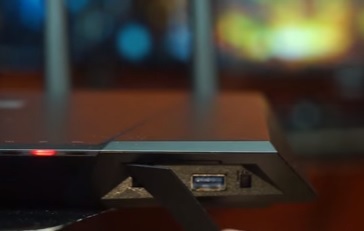 The ASUS RT-AC87U is a good router for a busy home or small office. 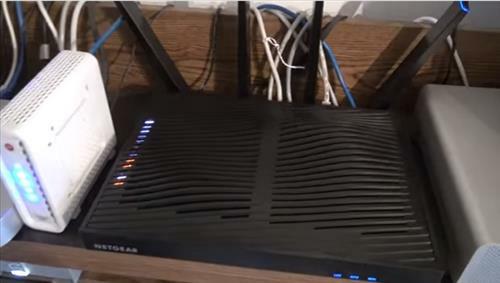 The NETGEAR Nighthawk X8 is a fast router with speeds up-to 1000Mbps on 2.4GHz, and up-to 2166Mbps on 5 GHz. It has 4 active antennas and 4 internal antennas along with a 1.4GHz Dual-Core Processor. The listed speed of AC5300 is a combination of all the bands it uses and their speeds, which is called Tri-Band. Early routers quickly switched to the 2.4Ghz since it was better at traveling a distance and going through walls. Tri-band has a dedicated compatibility with this early Wireless-A/B 5GHz range, which is added to how fast a router can go. The NETGEAR Nighthawk X8 is a high-end router that is built for busy wireless environments along with fast speeds. It also can come with different options depending on the unit bought such as a hard-drive or cable modem combo. 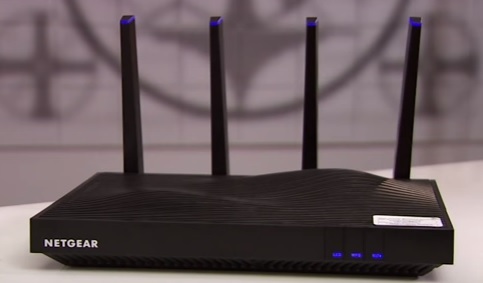 The MAX-STREAM EA7500 is a new MU-MIMO router from Linksys. It has 3 external antennas and uses a 1.4 GHz dual core processor. USB 3.0 and USB 2.0 ports are available on the unit. 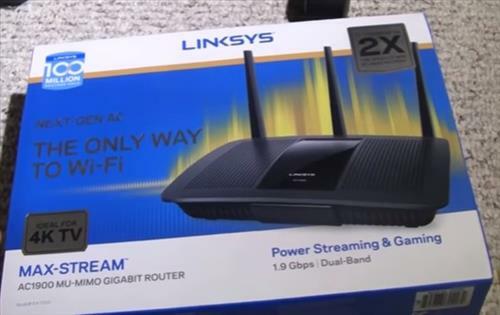 It also uses intuitive Linksys SmartWiFi software for easy setup and installation. This is a good router for a busy home or small office. 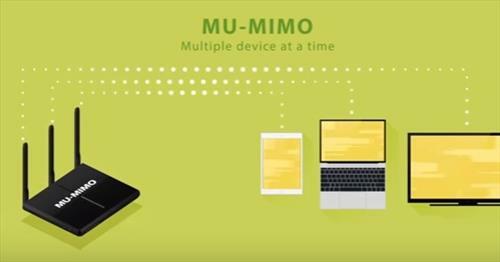 MU-MIMO routers can definitely make a difference for a internet gateway device that has multiple devices needing to get out. If you are a average user with only a few devices than it likely will be over-kill and not needed. MU-MIMO is sometimes referred to as Wave 2 devices which is the next generation of WiFi. As with any electronic devices options can vary and what is best for one person may not be the best for the next person. Since every wireless network is different reading the review on Amazon or forums is the best method to find the best unit for your home or office.